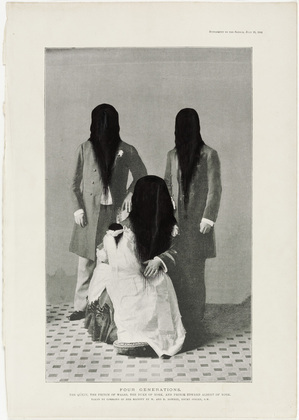 I just love that the signature image for the upcoming ICP exhibition Perspectives 2012 (Jan 20 - May 6, 2012) is Anna Shteynshleyger's Covered (2008). 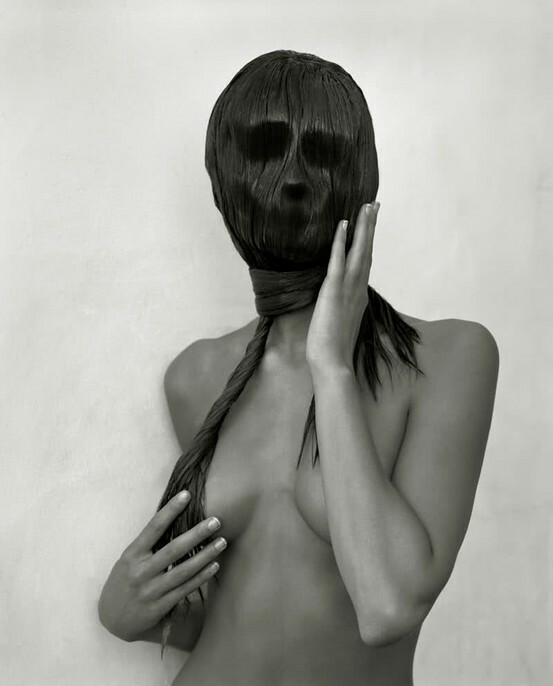 Images of women with their faces covered by hair seem to be abundant these days, especially in fashion. Covered, with its mass of hair out of place, evokes the freakish and outsider as well as the play of identity politics, whether that be of troubled youth or in relationship to gender. A sense of shame, embarrassment, and shyness can all be read in this powerful image of isolation - a girl, in profile, hidden by the cascade of hair over of her face. 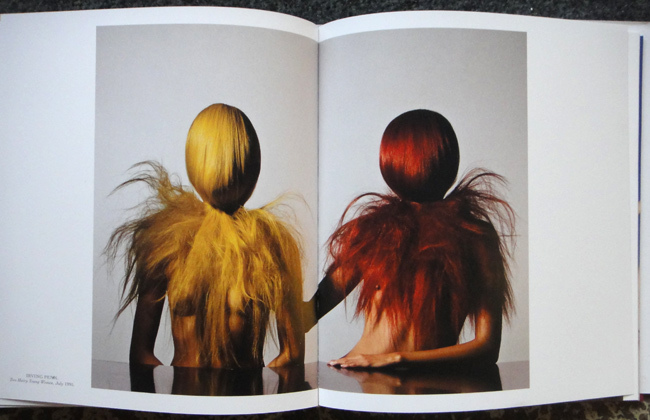 But the edginess of the image becomes stranger as we notice that there are two tones of hair color. Is that a wig? A fall? Is what we are looking at staged or natural? Real or digitally manipulated? Seb Patane, Four Generations, Ballpoint pen on printed paper, 2004. Seb Patane deserves a blog post of his own. 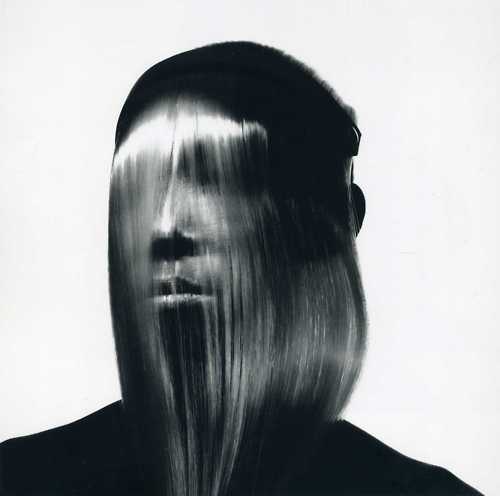 Using found images, he turns them into ghostly, yet humerous, portraits. The runway hair stylist Charlie le Mindu is also going to get his own blog post! 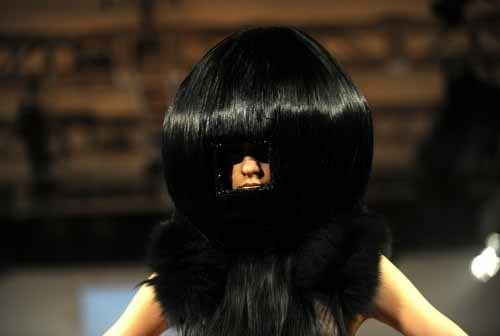 His outrageous hair work transforms models, by frequently distorting or concealing the head. 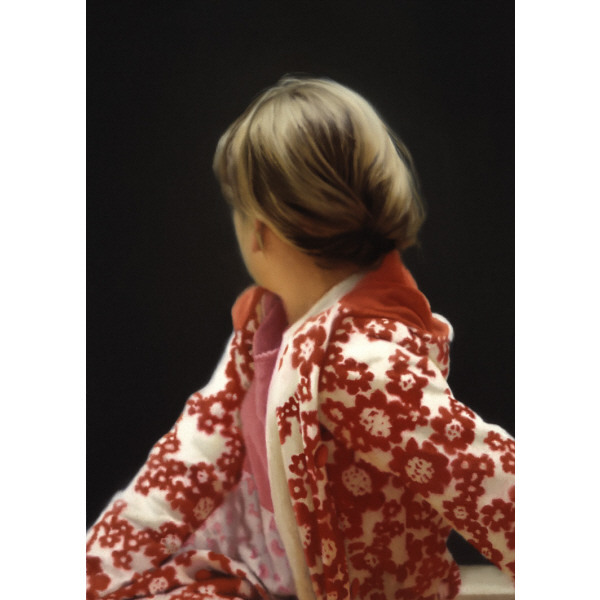 However, it is Betty by Gerhard Richter that appears most like Covered, even though the portrait is less about the hair. What Betty shares with Covered is the subject's withheld intimacy. Both images ask us to look, yet deny us the ability to see or to know.